O.W.O (One Weekend Outfit) is a casual three piecer that incorporates ripped jeans, houndstooth and a biker jacket. Lanvin flats are my favorite – versatile, comfy and perfect for this fall weather where it is too cold for open-toed-anything and too warm to fully commit to boots. This entry was posted in Boots, Boston fashion, Boston suburb fashion, CFDA, children, Cold Weather, Fall Fashion Trends, Fashion, Footwear Trends, Media, mommy fashion, Shoes, suburbs, Technology, Travel, Trending, Trends, Uncategorized, Winter and tagged barbara bui, biker jacket, boston fashion blog, Boston fashion blogger, Canadian Thanksgiving, capri jeans, fashion editor, holiday, houndstooth, Lanvin, Lanvin flats, Lucky, mommy blog, mommy blogger, mommy fashion blog, mommy fashion blogger, Patch.com, Rag & Bone, ripped jeans, rockeshell.com, suburban fashion blog, suburban fashion blogger, turkey, turkey dinner, Zara by reversecommuter. Bookmark the permalink. 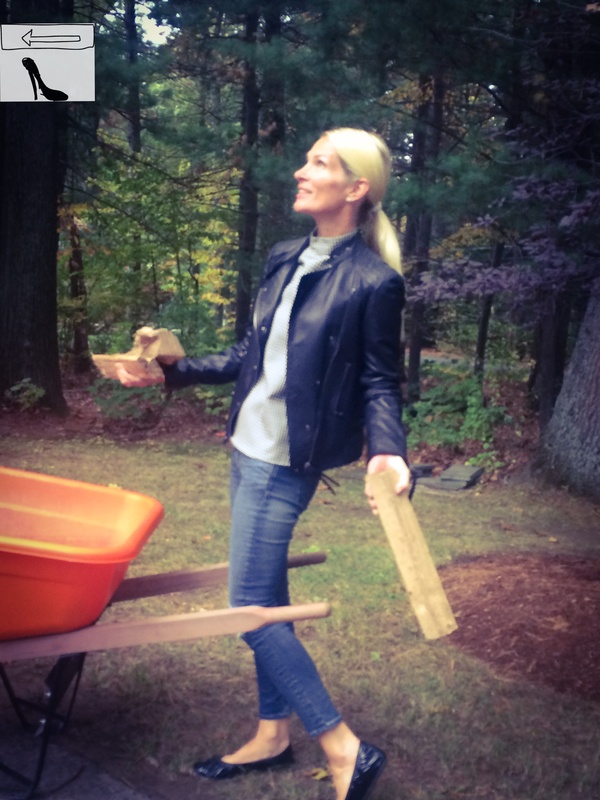 Looking effortlessly chic while chopping wood. Impressive! You look totes adorbs! I don’t like flats so much but those Lanvins are sweet! Thanks for the compliment! I ❤️heels more than flats but a great pair of comfy ballerinas really come in handy every now and then!